Our rifle range has backstops at 25, 50, 75, 100 and 200 yards. There is also an adjacent pistol range, out to 10 yards. As for all of our facilities, membership is required to participate. We ask that you please pick up your empties, and be sure to check that no live ammunition has fallen to the ground. There is a box on the rifle range for your empty brass, and a tube to put any dud rounds into. Duds are rounds that for some reason did not fire. To read about our range safety rules, see the note below. 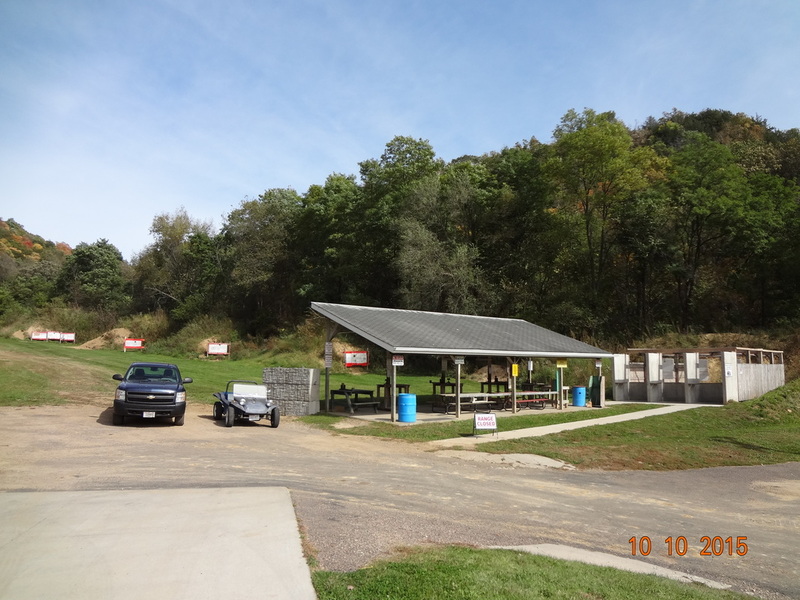 There is a new policy for the pistol and rifle range. Due to safety concerns, and respect for the neighbors who border our property, shooting hours from 8 am until 1/2 hour before sunset will now be enforced. In order for us to best serve our members and the general public, please adhere to these hours. Failure to do so could result in the forfeiture of your membership. Thank you for your cooperation. ​Please have your membership card with you when you use the ranges.